Description: New Acer Iconia Tab aftermarket ac adapter charger. 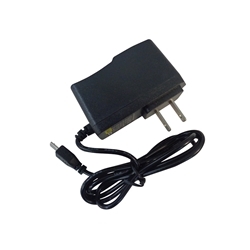 This power adapter is used with select Acer tablets and is 10 watt. Compatible Part #'s: KP.01001.001, KP.0100P.001, KP.0100N.001, KP.0100P.002, KP.0100H.002, KP.01003.005, KP01003005, KP.01003.006, ADP-10HW A, PA-1100-25, 25.LBKNB.002. Acer Aspire Switch 10 SW3-013, SW3-013P, SW3-016. Acer Iconia Tab A110, A1-810, A1-811, A1-830, A1-840, A1-840FHD, A1-850, A1-860, A3-A10, A3-A11, A3-A20, A3-A20FHD, A3-A30, A3-A40, B1-A71, B1-710, B1-711, B1-720, B1-723, B1-730, B1-730HD, B1-740, B1-750, B1-780, B1-810, B1-820, B1-830, B1-850, B3-A10, B3-A20, B3-A30, G1-715, W4-820, W4-820P.